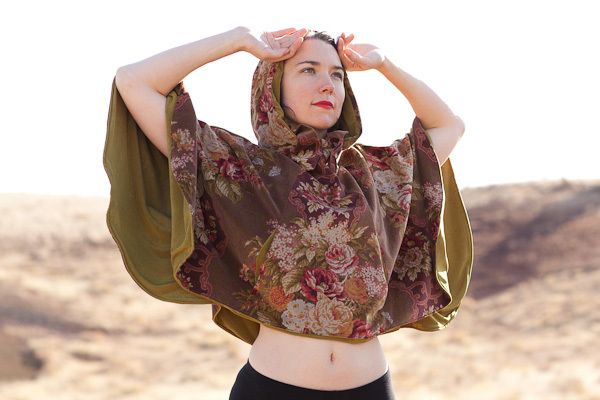 Heather Treadway is a multi-talented fashion designer, musician, dancer, etc. from Portland, Oregon. In the fashion realm, she specializes in designing and sewing unique handmade capes. 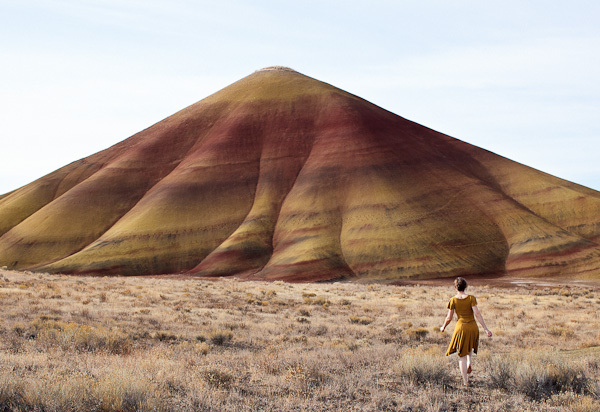 I spent a weekend in Eastern Oregon near the Painted Hills and Blue Basin road tripping and photographing Heather wearing some of her recent designs. You may also know her as the stand up percussionist from the band Explode into Colors (rest in peace). Buy her stuff on Etsy or email her to make a custom order. She’ll make you something great. This entry was posted in New Pictures, Other Artists/Photographers, travel journals and tagged arnold, art, band, basin, beautiful, blue, cape, cool, designer, east, Fashion, Heather, hills, lovely, painted, photo, photographer, photography, pictures, portland, Treadway.